The Bay of Fires wines were born from a desire to showcase the best possible cool climate varietal wines Tasmania can offer, combining fruit intensity; refinement and persistence of flavour. Their philosophy is to nurture elegance and develop ripe flavour profiles. 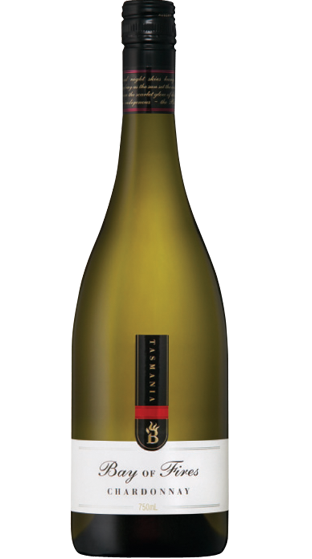 In balance with the qualities of each variety, Bay of Fires strives to echo the terroir, and the essence of Tasmania. It's winemaking 'on the edge', but in the face of such challenges the rewards speak for themselves. Bay of Fires Winemaker, Penny Jones, is born and bred in Hobart, Tasmania, where a passion for food and wine has always been in her blood. 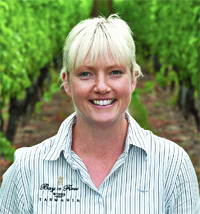 She moved to South Australia to study winemaking at Adelaide University in 2001. In her final year of study, Penny completed her first vintage in the cellar at Petaluma, and after graduating as Dux of Oenology in 2004, stayed on in the Adelaide Hills to work her way through the ranks of Petaluma. After 13 years in South Australia, Penny was very excited to return to her home state of Tasmania where she joined the Bay of Fires Winemaking team to become the Eddystone Point winemaker and shortly after stepped up to the position of Winemaker/ Manager for Bay of Fires.